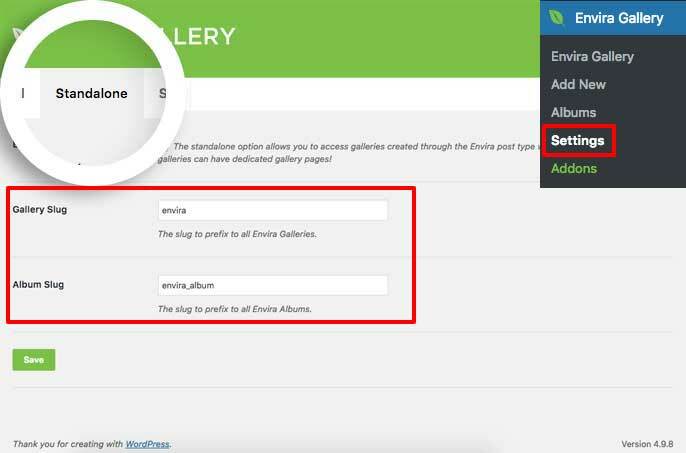 Would you like to set a featured image on galleries and albums using Envira? This is now even easier with Envira! This guide will show you how to set a featured image for standalone galleries and albums. Envira Gallery prior to version 1.8.4 you had to have a custom plugin for this. As of Envira 1.8.4 you’ll no longer need a plugin for this and can deactivate and delete the plugin you had installed previously. Why don’t I see my featured image on the standalone link? You’re first step is to enable Envira’s Standalone link options. Navigate to Envira Gallery » Settings » Standalone Tab. Click the Enable Standalone from the checkbox and click Save. You’re next step is to set the Featured Image for your gallery (or album) by editing the gallery (or album) you wish to set this for. Once inside the edit screen, in the sidebar look for the Set Featured Image link. This will open up a pop up for you to select which image you want to be your featured image. Choose the image and click Set Featured Image button. Next, just click Update or Publish on the gallery (or album) to save the changes. Next, get the standalone link to your gallery or album. Just click the permalink shown under your gallery (or album) title. And that’s it! 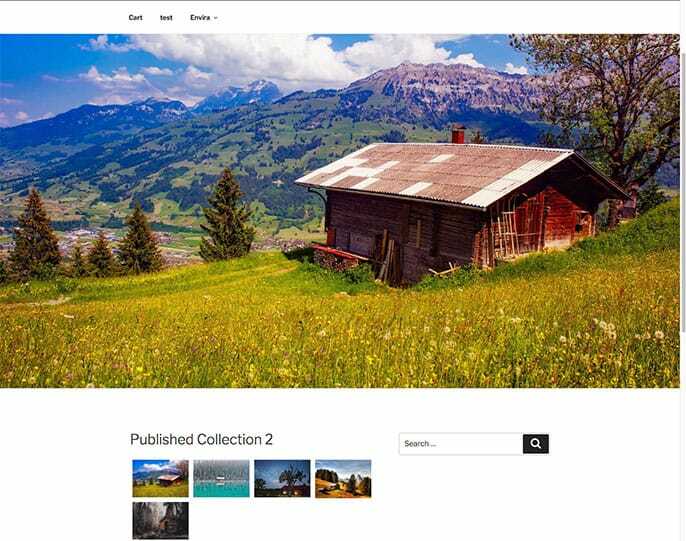 You’ve successfully set a featured image for your standalone galleries and albums. With this functionality it’s easier then ever to create a page that lists all your galleries (with a featured image and link to that standalone URL) and albums. Check out our tutorial on How to Enable Archives for Standalone Feature to see how to use the archives list and the featured images together! Q: Why don’t I see my featured image on the standalone link? A: Envira uses your theme’s single.php page template to display standalone links. If the theme isn’t creating a call to fetch the featured image, it’s possible you won’t see your featured image that you’ve set. To confirm this, temporarily deactivate your theme and activate a WordPress default theme (such as Twenty Seventeen) to see if you can see your featured image on that link. If you can, this is your theme’s restriction and unfortunately can’t be controlled by Envira.